Here is an All-inclusive package designed to meet all your needs besides surf, relaxation and sea! A complete package of Surfcamp: private driver waiting for you at the arrival area of the airport, many beautiful apartments to choose from, all equipped with kitchen, terrace / patio at 5 steps from the ocean and great surf school that will take place between Surfers Point And Freight's Bay, with experienced instructors who will choose the spot according to the ocean conditions ... so you just have to relax and enjoy this SURF EXPERIENCE! Recommended for beginner and intermediate surfers. Barbados is a true tropical paradise of waves and sunshine, with the most beautiful beaches in the Caribbean and the world! The island is located in the Atlantic Ocean, more or less at the same latitude of Miami, in the South Caribbean and thanks to its position it receives waves on all its coasts, depending on the seasons. Barbados is bathed by the crystal clear waters of the Caribbean Sea and the Atlantic Ocean and enjoys hot water all year round. 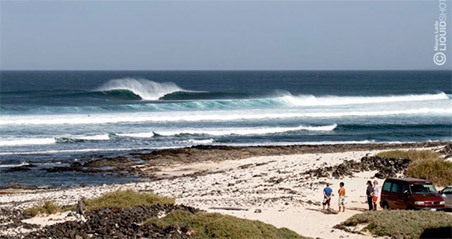 The natural beauty of the island, the variety of landscapes, beautiful beaches, tropical temperatures and crystal clear waves make this island one of the best surfing destinations in the world! 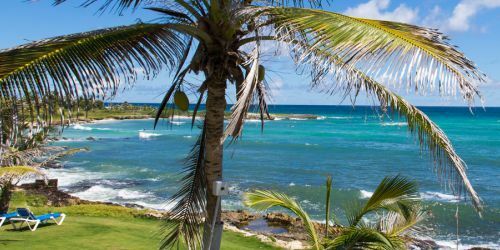 Barbados is easily reachable with international flights landing at Bridgetown international airport (BGI), about 20 kms from our accommodations. Often, the international flights make a stop-over in the United States of America. Rental Car: We recommend renting a car directly from the airport. Taxy: Getting to the surf camp by taxy is very fast and convenient. Surfcamp airport shuttle: Upon request we can pick you up directly at the airport. Most nationalities do NOT need a special visa to go to Barbados. We always reccommend to check the validity of your passport before travelling and to take various copies of your passport with you, if the original gets lost. Public and private hospital facilities have good standard level, however, we recommend traveling with an international travel insurance.